My roommates and I had been planning our 50th anniversary viewing party basically since the special episode had been announced. 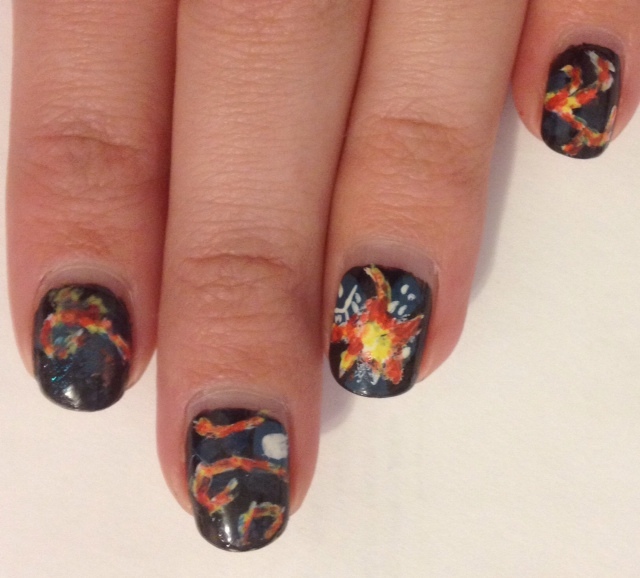 When the weekend finally came, we began celebrations with a marathon and some nail painting of course! It only got better from there, with the reappearance of not only Tennant but Billie Piper (even though she wasn’t really Rose!!!! ARGH, damn you Moffatt). There were giggles, whimpers, screams of excitement, and tears. Lots and lots of tears. 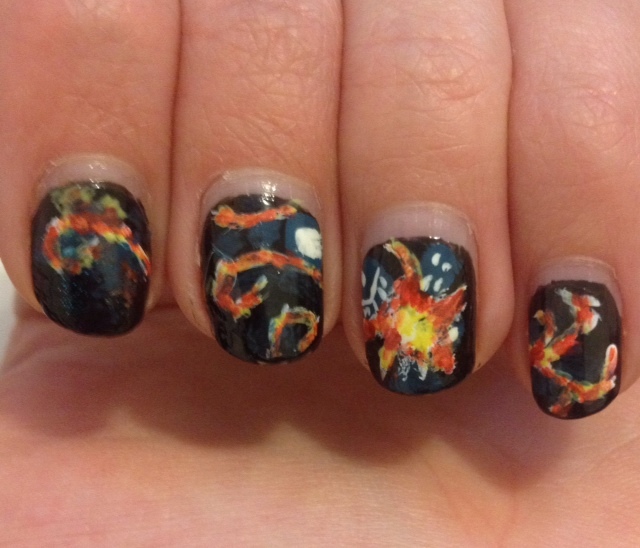 I’m pretty sure I chipped all of my nails during the two-hour long show, but I managed to snap some pictures before! 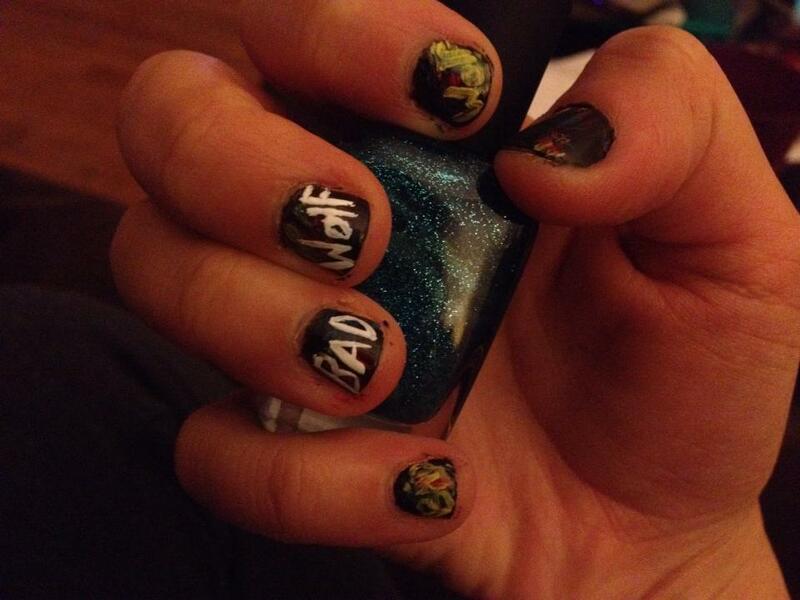 On one of my roommates, I took inspiration from Dani’s Manis and tried out a Bad Wolf graffiti manicure. 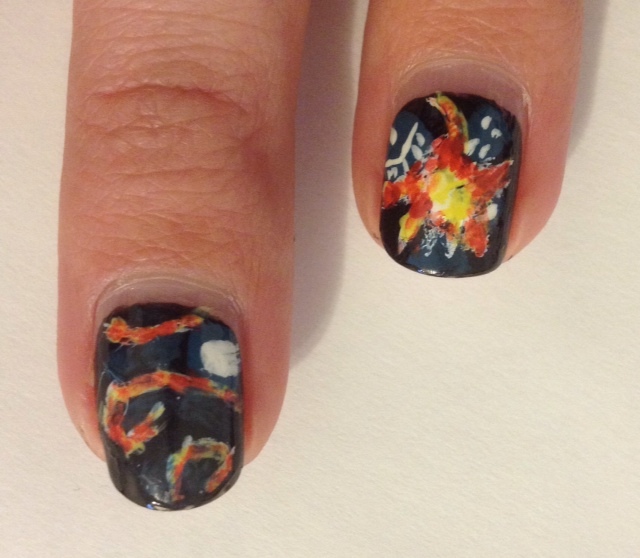 And on myself, I tried out the Van Gogh exploding Tardis (also inspired by Dani’s Manis)!